** 2017 TOYOTA TACOMA LIMITED, BROWN LEATHER INTERIOR, AUTOMATIC TRANSMISSION, FOUR WHEEL DRIVE (4WD), BLUETOOTH, NAVIGATION, TOWING PKG, BED LINER, SUN ROOF, HEATED FRONT SEATS, HEATED EXTERIOR MIRRORS, BLIND SPOT, BACK UP CAMERA, POWER WINDOWS AND LOCKS, FOG LIGHTS!! ** Kendall Toyota Alaska has a wide selection of exceptional pre-owned vehicles to choose from, including this 2017 Toyota Tacoma. Your buying risks are reduced thanks to a CARFAX BuyBack Guarantee. No matter the terrain or weather, you'll drive at ease in this 4WD-equipped vehicle. With exceptional safety features and superb handling, this 4WD was engineered with excellence in mind. There are many vehicles on the market but if you are looking for a vehicle that will perform as good as it looks then this Toyota Tacoma Limited is the one! The Tacoma competes with other compact pickup trucks such as the Chevrolet Colorado and the Nissan Frontier. However, neither of these competitors has the reputation of Toyota. Unlike full-sized trucks, the Tacoma is small enough to make sense in both urban and suburban environments. The Tacoma can maneuver nimbly in tight parking lots, and its turning radius is kept reasonable. At the same time, the Toyota offers the kind of utility that compact SUVs can only dream of. With a broad range of customization options, the Tacoma offers a surprisingly amount of comfort, and even gives owners the kind of interior space normally found in sedans. The Tacoma is truly a do-everything vehicle. ** 2017 TOYOTA TACOMA TRD OFF ROAD, 3.5L V6 ENGINE, AUTOMATIC TRANSMISSION, FOUR WHEEL DRIVE (4WD), BLUETOOTH EQUIPPED, NAVIGATION, BACK UP CAMERA, TOWING PKG, BED LINER, HEATED FRONT SEATS AND HEATED EXTERIOR MIRRORS, POWER WINDOWS AND POWER LOCKS, BLIND SPOT MONITOR EQUIPPED, CLEAN CAR FAX!! ** Kendall Toyota Alaska is excited to offer this 2017 Toyota Tacoma. Tackle any terrain with this 4WD Toyota Tacoma TRD Off Road. Off the road or on the parkway, you'll drive with confidence no matter the weather conditions or landscape. In addition to being well-cared for, this Toyota Tacoma has very low mileage making it a rare find. This is about the time when you're saying it is too good to be true, and let us be the one's to tell you, it is absolutely true. The Tacoma competes with other compact pickup trucks such as the Chevrolet Colorado and the Nissan Frontier. However, neither of these competitors has the reputation of Toyota. Unlike full-sized trucks, the Tacoma is small enough to make sense in both urban and suburban environments. The Tacoma can maneuver nimbly in tight parking lots, and its turning radius is kept reasonable. At the same time, the Toyota offers the kind of utility that compact SUVs can only dream of. With a broad range of customization options, the Tacoma offers a surprisingly amount of comfort, and even gives owners the kind of interior space normally found in sedans. The Tacoma is truly a do-everything vehicle. ** 2017 TOYOTA TUNDRA SR5, BLACK CLOTH INTERIOR, 5.7L V8 ENGINE, AUTOMATIC TRANSMISSION (A/T), FOUR WHEEL DRIVE (4WD), BLUETOOTH EQUIPPED (BT), BACK UP CAMERA, BED LINER, TOWING PKG, POWER DRIVERS SEAT, POWER WINDOWS AND POWER LOCKS, HEATED EXTERIOR MIRRORS, CLEAN CAR FAX!! ** Contact Kendall Toyota Alaska today for information on dozens of vehicles like this 2017 Toyota Tundra 4WD SR5. Taking the road less traveled has never been more fun than with this 4WD. With improved performance, mileage and acceleration, this 2017 4WD Toyota Tundra 4WD SR5 is king of the off-road. It's not a misprint. And the odometer isn't broken. This is a very low mileage Toyota Tundra 4WD. A rare find these days. The look is unmistakably Toyota, the smooth contours and cutting-edge technology of this Toyota Tundra 4WD SR5 will definitely turn heads. There is no reason why you shouldn't buy this Toyota Tundra 4WD SR5. It is incomparable for the price and quality. ** 2017 TOYOTA TACOMA LIMITED, BROWN LEATHER INTERIOR, 3.5L V6 ENGINE, AUTOMATIC TRANSMISSION (A/T), FOUR WHEEL DRIVE (4WD), BLUETOOTH EQUIPPED (BT), NAVIGATION, BACK UP CAMERA, TOWING PKG, SUN ROOF, JBL, BLIND SPOT MONITOR (BSM), HEATED FRONT SEATS, 18 ALLOY WHEELS, CLEAN CAR FAX AND ONE OWNER!! ** Kendall Toyota Alaska is pleased to be currently offering this 2017 Toyota Tacoma Limited with 8,999mi. This 2017 Toyota Tacoma comes with a CARFAX Buyback Guarantee, which means you can buy with certainty. Handle any terrain with ease thanks to this grippy 4WD. Whether you're on a slick pavement or exploring the back country, you'll be able to do it with confidence. This is the one. Just what you've been looking for. The Tacoma competes with other compact pickup trucks such as the Chevrolet Colorado and the Nissan Frontier. However, neither of these competitors has the reputation of Toyota. Unlike full-sized trucks, the Tacoma is small enough to make sense in both urban and suburban environments. The Tacoma can maneuver nimbly in tight parking lots, and its turning radius is kept reasonable. At the same time, the Toyota offers the kind of utility that compact SUVs can only dream of. With a broad range of customization options, the Tacoma offers a surprisingly amount of comfort, and even gives owners the kind of interior space normally found in sedans. The Tacoma is truly a do-everything vehicle. ** 2017 TOYOTA TUNDRA SR5, BLACK CLOTH INTERIOR, AUTOMATIC TRANSMISSION, FOUR WHEEL DRIVE (4WD), BLUETOOTH, TOWING PKG, BED LINER, BACK UP CAMERA, POWER WINDOWS AND LOCKS, RUNNING BOARDS, FOG LIGHTS!! ** Looking for a clean, well-cared for 2017 Toyota Tundra 4WD? This is it. Drive home in your new pre-owned vehicle with the knowledge you're fully backed by the CARFAX Buyback Guarantee. Take home this Toyota Tundra 4WD SR5, and you will have the power of 4WD. It's a great feature when you need to drive over tricky terrain or through inclement weather. The look is unmistakably Toyota, the smooth contours and cutting-edge technology of this Toyota Tundra 4WD SR5 will definitely turn heads. Based on the superb condition of this vehicle, along with the options and color, this Toyota Tundra 4WD SR5 is sure to sell fast. ** 2017 TOYOTA TUNDRA TRD OFF ROAD, SR5 TRIM, GRAY CLOTH INTERIOR, AUTOMATIC TRANSMISSION, FOUR WHEEL DRIVE (4WD), BLUETOOTH, NAVIGATION, TOWING PKG, BED LINER, BACK UP CAMERA, POWER WINDOWS AND LOCKS, FOG LIGHTS!! ** This 2017 Toyota Tundra 4WD SR5 is offered to you for sale by Kendall Toyota Alaska. This vehicle is loaded with great features, plus it comes with the CARFAX BuyBack Guarantee. Where do you want to go today? With 4WD, you can choose to drive virtually anywhere and on terrain 2WD vehicles can't handle. Surprising quality accompanied by a high level of performance...this Silver on FB20 BLACK Toyota Tundra 4WD SR5 could end up being the perfect match for you. This is the one. Just what you've been looking for. ** 2018 NISSAN TITAN SV CREW CAB, BLACK CLOTH INTERIOR, AUTOMATIC TRANSMISSION, FOUR WHEEL DRIVE (4WD), BLUETOOTH EQUIPPED, BACK UP CAMERA, DROP IN BED LINER, POWER WINDOWS AND POWER LOCKS, HEATED EXTERIOR MIRRORS, CLEAN CAR FAX AND ONE OWNER!! 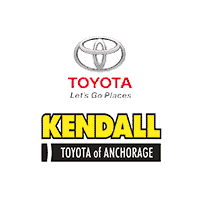 ** Thank you for your interest in one of Kendall Toyota Alaska's online offerings. Please continue for more information regarding this 2018 Nissan Titan SV with 16,005mi. Your buying risks are reduced thanks to a CARFAX BuyBack Guarantee. Opulent refinements married with exceptional engineering make this the kind of car you'll want to own for a lifetime. Where do you want to go today? With 4WD, you can choose to drive virtually anywhere and on terrain 2WD vehicles can't handle. There are many vehicles on the market but if you are looking for a vehicle that will perform as good as it looks then this Nissan Titan SV is the one! 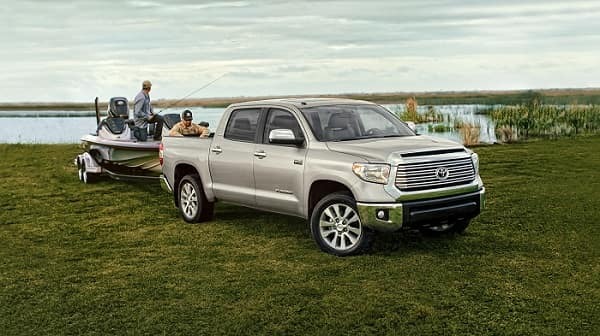 Are you looking for something to pull that new fishing boat or new toy hauler, but a new Toyota truck just isn’t in the cards? Shop our inventory at Kendall Toyota of Anchorage for a used truck in Anchorage. Our used truck dealership has a huge selection of used trucks for sale in Anchorage and we’re sure to have a used pickup truck that fits your budget. Contact us online or visit us at 6930 Old Seward Hwy Anchorage, Alaska 99518 to shop our inventory of used trucks. We also serve the Eagle River, Palmer, and Kenai areas. Feel free to browse our available selection of used SUVs at Kendall Toyota of Anchorage, as well. When you shop our used trucks for sale in Anchorage, and we’re sure you’ll find the truck that you’re looking for, no matter the size or style. From midsize trucks up to heavy-duty trucks, our used truck dealership offers Toyota trucks and trucks from a wide variety of automakers that include 4×4 and diesel trucks. After you shop our inventory of used trucks, be sure to pay a visit to our Toyota Finance Center. You can also save time before you get here and start on the financing process by filling out our simple finance application. Our financial experts can also help you get pre-approved for an Anchorage car loan and value your trade with a free car appraisal. No matter what kind of used truck you’re in the market for, Kendall Toyota of Anchorage is the used truck dealer that has something to fit your budget. Come by and let us help you find your next used truck today.